Helen Clark, administrator of the UN's Development Program, marvels at glow-in-the-dark plants, easy-access medical testing. Helen Clark, administrator of the United Nations Development Program (UNDP), visited Israel for the first time Wednesday for a special purpose: to encourage young entrepreneurs. 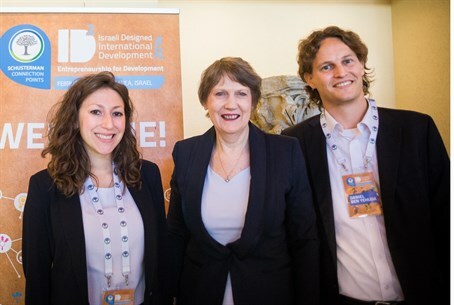 Clark, a former New Zealand Prime Minister, attended the ID², or Israeli Designed International Development conference in Caesarea Wednesday. ​The visit constitutes a step toward bridging the often tenuous gaps between Israel and the UN, according to the event's organizers, and makes Israel an important player in the international body's agenda to end poverty, create jobs, and advance the global economy. "I saw today at the conference many bright ideas," Clark stated. "I think they have great potential to improve the world around us." Clark took special interest in a project by Israeli researcher Anat Reichman, who showed plants that give off light at night and can be a substitute for electric lights in underdeveloped areas. Another invention, by Ariel Be'ery, helps diagnose cervical cancer simply and quickly where medical services are minimal or unavailable. 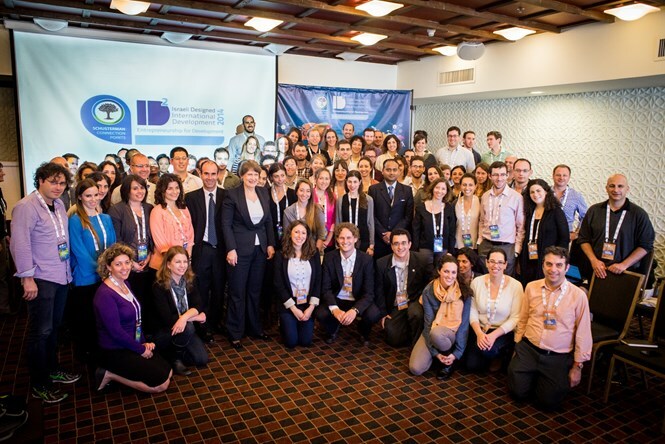 Over 70 young Jewish innovators attended the exclusive conference, which united the greatest minds from several sectors – private corporations, government projects, and NGOs – to work on the problems facing the developing world. This year, the conference was organized and co-chaired by Danielle Abraham, policy advisor to MASHAV, Israel’s Agency for International Development Cooperation in the Ministry of Foreign Affairs, and Daniel Ben Yehuda, Deputy Director of the Pears Program on Innovation and International Development at Tel Aviv University. The event was also part of an initiative by the Schusterman Family Foundation, an organization dedicated to helping Jewish communities worldwide, to use innovation and technology to address some of the biggest problems facing the international community.